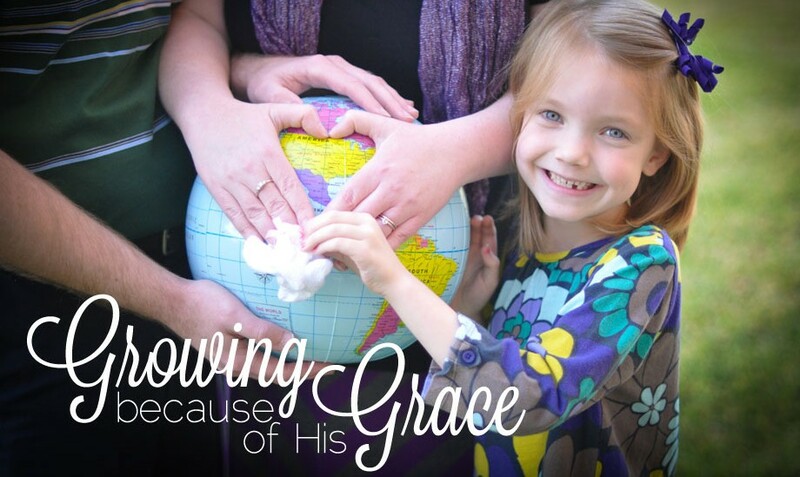 Our journey of receiving life from death through the gift of adoption! Hi everyone! This year I have decided to release my planners in two rounds. Since there is such a high demand for the CC (Classical Conversations) specific planners, I got those finished first and have uploaded them to Etsy. Then I will get the dated, non-CC planners finished and uploaded. I have really exciting news for the planners for this year! I have the same types of planners as last year – 40 CC planners broken down by what day you have community and also whether you do Foundations only or Foundations & Essentials. But there is a new feature this year – every planner can be filled in digitally with Adobe Reader (get it here) and then printed! This has been the most requested feature over the last two years, so I spent several months learning how to make my PDFs into editable files and then customizing each one. Lots of trial and error (sometimes more error than trial! 😉 ) but I think I’ve made them into a very functional resource, whether you like to plan on the computer or on paper by hand! So first up, the new design. This year I am going with the quartered circles theme. This is a classic pattern that I just LOVE and I thought it would look beautiful on the edges of the pages. And, of course, I kept all the bright colors. Bright colors make everything happier, right?? For those of you who would prefer a more neutral option, I’ll discuss that later on in the post. So let’s dive in to this year’s planners! I have the same two designs from last year (but with the added option of adding text in Adobe Reader) and added a new design – “To Know God and Make Him Known” in Latin (my personal favorite!). Next is the annual calendar/year-at-a-glance page. I use this calendar to record how many days we’ve “done” school and it’s an easy way to keep track of it during the year. I also have the boxes at the bottom where you can color code certain dates – holidays, birthdays, field trips, co-op days, etc. **Because it is designed to be color-coded, this is the ONLY page in the download that is not digitally editable. It must be printed and filled in my hand. The entire monthly spread, including the to do list/goal list, can be filled in with Adobe Reader. The months included are July 2017 to June 2018. And now for the weekly planning pages! And BONUS – ALL the weekly planning pages can also be filled in digitally! Each week has the Monday-Friday layout, with 4 “check off” dots in each box so you can assign a color to each student or put different assignments next to the dots to check off. The vision behind this planner is based on how I have my personal homeschool. We reviewed our CC memory work every day, but I wanted to take a day per subject to drill deeper because my daughter was asking great questions and wanting to know more about what we were learning in the memory work. I was overwhelmed trying to “add on” to the memory work daily, but by taking one day to focus on history, one day to focus on science, etc., we were able to go deeper in her studies without mom feeling completely overwhelmed and anxious! This planner is broken down into the basic daily subjects, then there are “blocks” (hence the name of the planner) for in-depth study on different days. For the blocks, you can pick which day you’d like to do which subject. For our personal homeschool, we would combine a couple of block subjects since we spent one day a week at our CC Community. So those are the four types of planners that I offered last year! Same layout, updated graphics & design, and most importantly – EDITABLE on the computer! Now, here is the caveat for the CC-specific planners: the weekly pages are not dated. I repeat: THEY ARE NOT DATED. Because every campus starts on different days and breaks on different days, it would be impossible for me to create a dated planner that included a community day. As much as I wish I could create something that you could just send to the printer and it would print perfectly aligned with your CC school year, that is, alas, impossible. Thank you for your understanding! Once again, I included a large set of “Extras” pages again. If you have suggestions for extras, please send them to me! I’m always open to new ideas! Several of the pages that have been added over the years have been because of customer suggestions! All of these extra pages will be included with the download you purchase. The extras are completely customizable for your planner. You can print and choose what you’d like to use, or keep a saved file on your computer and fill it out as you go through the year! 1. This can be printed at home and then bound at an office supply store for around $5 (I think Office Depot is $4.50) or you can hole punch it and put it in a binder. I would recommend the hole punch/binder route, unless you have your own binding system and it would be easy to add and take away pages. Things like hurricanes, snow days, tornadoes, and other inclement weather can often disrupt CC calendars at the last minute! 2. When you print, make sure your printer is set to “fit printable area” (or similar setting). If you set it to actual size, you’ll lose the pretty circles border. 3. Want a neutral option or to save on ink? Set your printer to “grayscale” when you print. Ideally each calendar/school week (Monday-Friday) should go across two pages so you can see them both at the same time. 1. First print the left page of the big July calendar. You can either print it on the back of the cover or the back of the “2017-2018 School Year” calendar page. 2. Then print a new sheet with the right page of the big July calendar. 3. Put the right page of the calendar back in your printer and print the left side of the regular school week on the back of it (since no one does CC in July). 4. Then print another right page of the regular school week. 5. Put the right page of the regular school week back in the printer and print the left side of the regular school week on the back of it. 6. Repeat 4-5 until it’s time to add another big calendar page. 7. When your CC year starts, print CC weekly pages for those weeks instead of the regular school weeks. 1. Have a larger section of just calendar pages. Start with the left page of July on the back of the cover or the back of the “2016-2017 School Year” calendar page, then print the remaining calendars front & back. 2. Print your CC weeks in one section. Print 24 weeks of the CC weeks front & back. 3. Print your regular school weeks. If you are required to do 180 days of school, you would need an additional 12 weeks of regular school weeks. Pricing: Those of you who purchased last year will notice there is a price increase. It took a substantial amount to time to make these files editable PDFs – more time that I was expecting to take. Plus, now that I have put in the work to make them editable, there really isn’t a reason to create new planners for next year except to release a new graphic design. So I think what I might do for next year is just sell a small supplemental file of just the monthly pages that you can add on and continue to keep using the weekly planner pages you purchase this year. Purchasing the planner this year is an investment that you can continue to use each year, and just add the monthly calendars each year as needed. Thank you for your understanding and continued support in this matter. ONE LAST IMPORTANT NOTE: when I originally designed these CC-specific planners, I worked up a design that included the topics for each weekly subject in Foundations (I didn’t do it for Essentials since EEL is strictly copyrighted and the Scope & Sequence for IEW has not been released yet). I thought, if I could get this approved through CC, that would save us all a LOT of writing in topics! 😉 I sent the example with the topics filled in to my Support Rep for her review and approval, and asked her to check and make sure that if I did that, it would not violate copyright. After she looked into it, she deemed that including the topics DID violate CC copyright, and asked that I not sell them with the topics added. So that is why there is no additional information listed on the community days. I dearly love this program and love what it has done for my family and my children’s education, and I want to respect their property. If you come across any typos in the planners or you find that something isn’t working right in Adobe Reader, please let me know so I can try to fix it! I’ve worked tirelessly making these files editable and functional, so there’s bound to be some errors somewhere! For those of you who used the dated, non-CC planners, my goal is to have those up by May 15th. As of right now, they will NOT be editable. It would be over 500 pages to convert to editable PDFs and unfortunately I don’t have that much extra time to do it. But I will have them made and ready to print soon! Thank you for all your emails, support, and excitement! It thrills me to get emails from you all asking if I’ll be making these again. You are so kind with your complements, and it makes me want to make these better and better each year. So I offer my sincerest thanks! And if you have suggestions for anything else for the “Extras” pages, let me know! Thank you, kind CC friends! You are the best!!! ← 2016-2017 planners are here! Cycle 3 Anatomy Printables are up on CC Connected! 2014-2015 Cycle 3 Planner is Ready!